Pink lake is an Australia’s most eye-catching coastal outlook which spots the bubble gum pink color contrast between green paper bark, eucalyptus trees and white rims of sand where people can hike for the best views and awesome shoots for lookout. It is located in the west of Esperance about 3km. 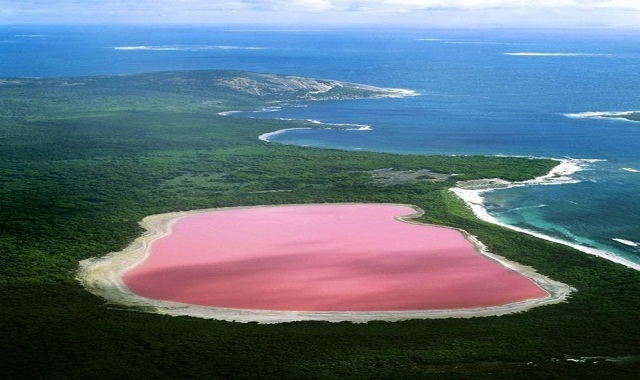 It is the salty lake and the color of the lake is pink due to the high concentration of algae containing in the water. Murrumbateman is the place with the cool climate wine region located in the Yass valley and also the capital of Canberra district. The region is covered around 40km from Canberra and 20km from Yass. It is the collection of the wines like white port, cabernet sauvignon, chardonnay, Barbara, Semillon, merlot, mead or Shiraz. Many Australia’s super premium world class wines come from the cooler regions while the majority of the Australia’s wine grapes are grown in warmer regions. Ord River is the peace, quiet and gorgeous scenery place with the untypical Australian style canoe tour where people fall in love with the place. It is located in the west of Darwin covering about 850km from the dam at Lake Argyle to Kununurra. It is the place of affluent to witness of amazing waterfalls and shore of the wild life. Campgrounds are also provided for the travelers where they can fully enjoy their trip to Ord River by dare to jump a 12m rock like crocodile Dundee and 3 days self guided canoe tour. Melbourne is the perfect destination for the appreciation of its good life by the travelers for its well known city for shopping, fine restaurants and sports venues. The city is considered as an important port and also the nation’s cultural capital which is located on the large natural bay of Port Phillip near the southeastern tip of Australia. It is the second most populated city and also the capital of the state of Victoria. Sydney is the famous place in Australia which is meant as modern city with a protracted history. Sydney is the capital city of New South Wales located on Australia’s southeastern coast where the most spectacular past iconic Sydney opera house and famed Sydney Harbor Bridge can be found. Sydney is defined by its scenic harbor where the harbor was the landing site for convicts sent to Australia during the 1780’s lived inhabitants along the harbor’s bank for thousands of years.